An early design for Captain America in Avengers: Infinity War shows Steve Rogers wearing a costume inspired by comic book hero, U.S. Agent. However, this version of the suit never made it into the film. In a symbolic move during his battle with Tony Stark, Steve Rogers gives up his shield at the end of Captain America: Civil War. In Avengers: Infinity War, Steve’s overall look has changed dramatically, with his traditional MCU outfit faded and discolored, detracting from his traditionally patriotic color scheme. The new look represents Cap’s decision to abandon the “Captain America” mantle and become Nomad, an identity used by his comic book counterpart during the early 1970s that is less restricted by certain rules and ideals by which his character has been typically bound. Now, it turns out that Chris Evans might have sported a look that was closer to the character U.S. Agent, not Nomad, in earlier design concepts for Avengers: Infinity War. In the comic books, John Walker/U.S. Agent was a super soldier who replaced Captain America during the late 1980s. However, Steve later believed that Walker’s violent methods damaged his legacy, prompting him to reclaim the mantle following a brutal confrontation. Later on, Walker became a hero in his own right and joined the West Coast Avengers as U.S. Agent. In some ways, Walker was the antithesis to Captain America; divisive, aggressive, hard to get along with, and more interested in following orders than leading. 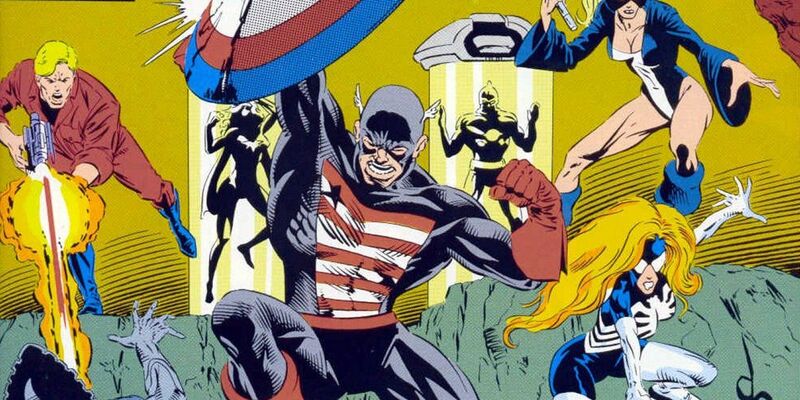 Incidentally, the first character in the comics to wear the red, white, and black costume was Steve, not Walker, after Steve resigned as Captain America for a second time and adopted the name “The Captain.” As The Captain, Steve wore the same outfit that eventually went to U.S. Agent. Since both identities pertaining to each costume fits the direction of Steve’s character in Avengers: Infinity War, it makes perfect sense why the black and red outfit was considered for the movie. 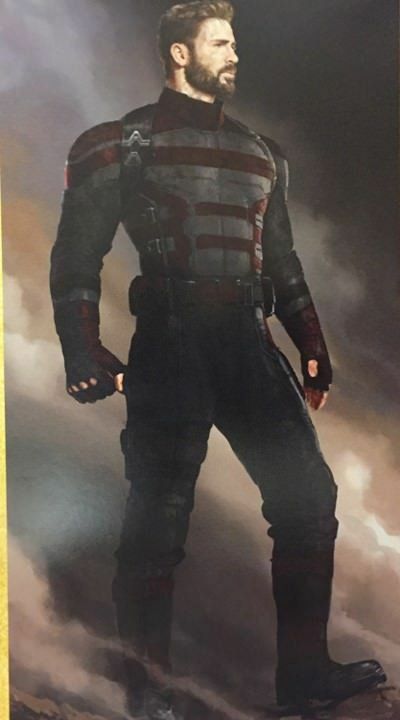 Both options deviate enough from the red, white, and blue colors of Cap’s other costumes to convey the idea that Steve is no longer Captain America. However, Marvel ultimately passed on the red and black outfit and instead embraced “the spirit” of the Nomad design.